Re your web cam mods shown on your post and the details on your photo bucket site. 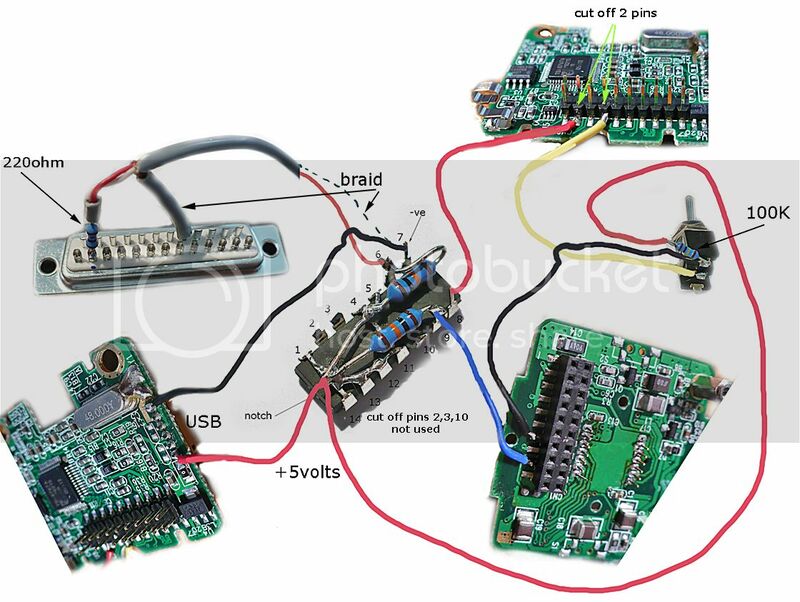 The wiring diagram seems to differ from your photo. In the cct diagram pins 1 and 14 are used as signal paths. in the photo 1 and 14 are joined and connected to +5v. Is this difference important or is it just using a different gate on the chip? I modded my old 840k toucam and it was a fiddley little sod, at one point you have to get the soldering iron between the ccd chip and the control chip with a 1mm tipped soldering iron. chrisipj wrote: Re your web cam mods shown on your post and the details on your photo bucket site. I'm new on the site so I'd like to say a big hi to all reading this. I had my 900nc 1.5 mod done by a great electronics engineer from london. He fitted a female usb socket on the side of mine with a switch for lx and included a usb lead to plug into it so I had two usb's on it. The grand cos of £50 inc post. I have never seen a mod done this way. It was a lovely clean job and works well.